The fifth edition of Overjam International Reggae Festival ended with a record of 15 thousand visitors from 25 countries and a very positive response from the public and artists, but also with great satisfaction of the local authority and organizers themselves. In fact, as soon as the event ended, the dates for next year have been announced: August 16th to 19th, with a pre-party on the 15th. 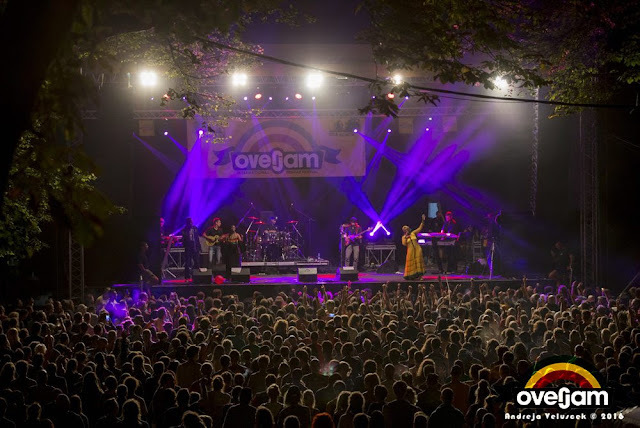 This year more than 100 artists have passed through the various stages of Tolmin (Slovenia), including the Jamaicans The Congos, Tarrus Riley, Kabaka Pyramid, Assassin aka Agent Sasco and the "Queen of Reggae" Marcia Griffiths, who said: "I would have liked to spend more time at this festival and Bob Marley accompany me on this stage. I know he would have loved it. " Beyond the music, Overjam has included a large number of activities, such as space for children - Overjam4Kidz, workshops, several dining options and space for debates, Overjam University, whose schedule’s culminated with the participation of the Italian tv star Chef Rubio (Gabriele Rubini), who taught to prepare a special sauce to go with BBQ which was followed by more than a thousand participants. Rubio said: “Because of my job and my nature and especially for a vital need I’m always traveling. I need to quench that desire to explore the world and therefore the human nature. I do it through food: the flavors give me back the knowledge and history of a land and its people. My kitchen is the story of my travels, is the sharing of cultures without discrimination, the harmonious fusion of different genres just like reggae music ". On its side, the organizer Andrej Tezak "Tešky" has showed himself pleased by the number of participants. 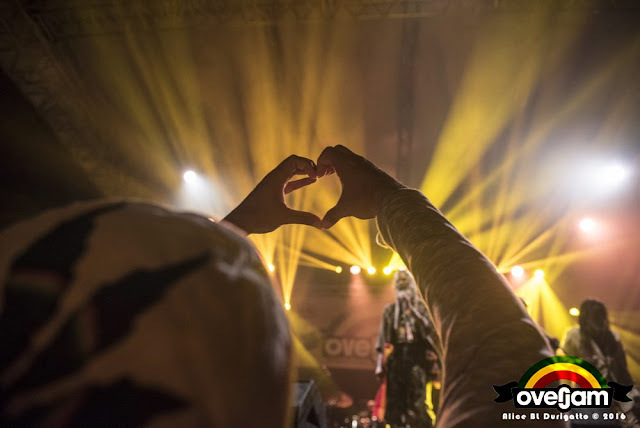 His desire is to continue to develop the "boutique festival" model, although doing so limits the inclusion in the line up of the major names of the reggae scene. "We have to keep our feet on the ground, but with a little patience we might have the opportunity to bring even big stars" - and added - "I also want to say that we are very proud that every year there are more volunteers from across Europe willing to help, I'm truly grateful." The opening dates of the pre-sales for the Overjam 2017 will be announced shortly, it will take place again in Tolmin (Slovenia), in the magnificent setting of the Triglav National Park, on the banks of the Soča and Tolminka rivers.